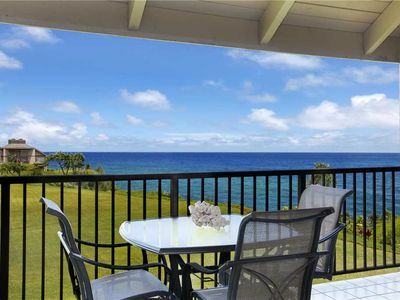 Private Princeville Condo w/ 2 Beachfront Lanais! 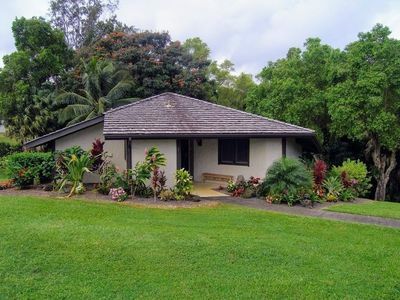 Leave your worries behind and embrace the island lifestyle at this 2-bedroom, 2-bath Princeville vacation rental! 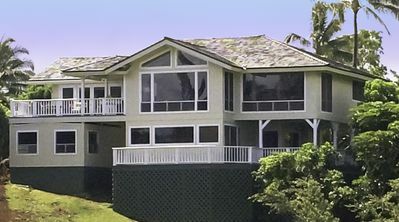 The condo is located in the beachfront Pu’u Poa complex, nestled on the North Shores of Kauai. 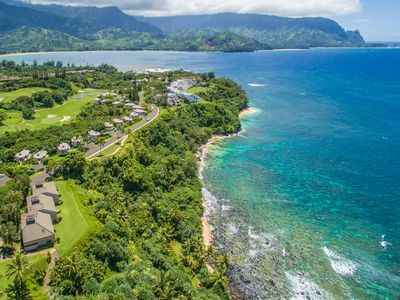 Walk down to the shores of Hideaway Beach, make the short drive into Hanalei and be sure to Scope out the Princeville Resort next door. 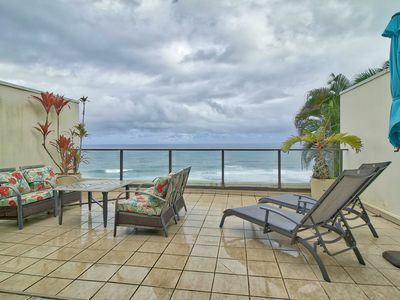 Complete with a gas grill and 2 ocean-view lanais, this Hawaiin-themed condo treats 4 to the perfect tropical retreat! 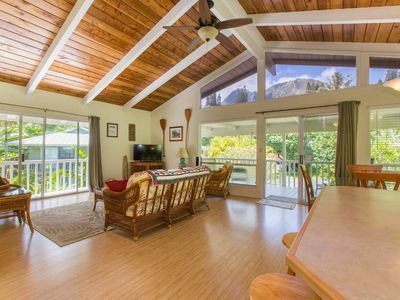 Kick off your trip with an incredible view and a cookout on one of 2 private lanais! 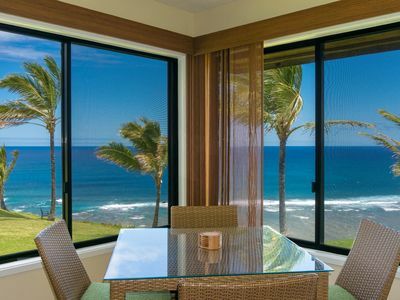 Ocean vistas set the scene for your at-home luau. Fire up the gas grill while side dishes are prepared in the fully equipped kitchen. 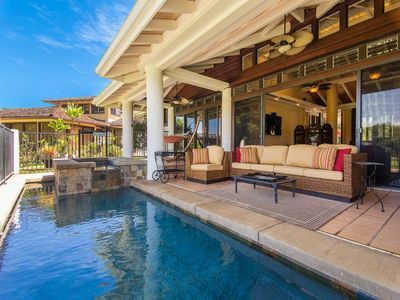 Glass sliders connect the lanai to the open living space, outfitted with Hawaiin-style furnishings. 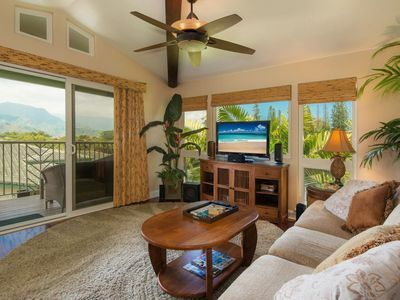 Plop down on the couch to watch the waves from behind the full wall of windows or tune into a show on the flat-screen TV. 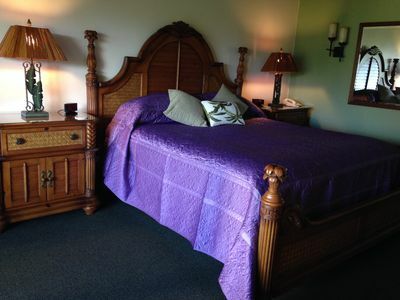 When it’s time for bed, you’ll be treated to a hotel-like experience in the master bedroom! 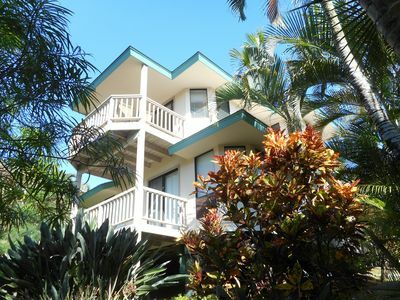 The suite houses a king bed, full en-suite bathroom and lanai access. 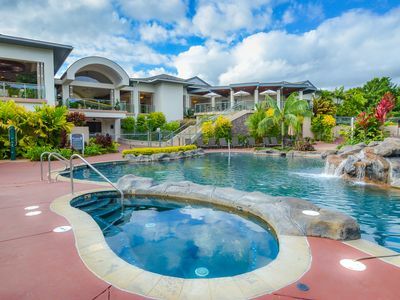 You won’t be able to resist Pu’u Poa’s newly remodeled pool area, boasting expansive ocean views, a tennis court and a pathway down to Hideaway Beach! 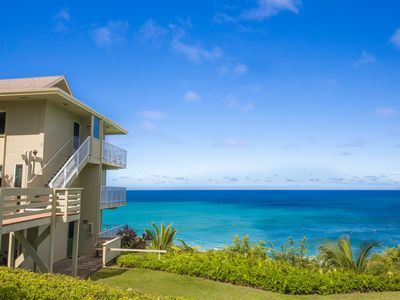 Spend the morning poolside and the afternoon by the sandy shores. Less than a mile away, the Princeville center is brimming with shops and restaurants. 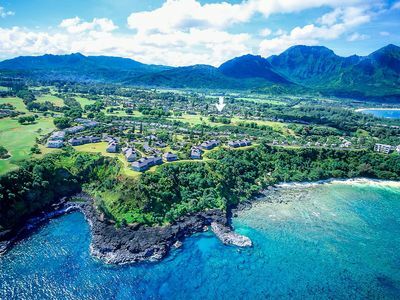 Closer to home, the neighboring Princeville Resort offers even more shopping and dining opportunities, along with a spa! 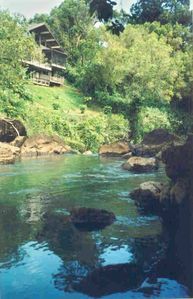 For a change of scenery, check out Hanalei only a short drive down the road. 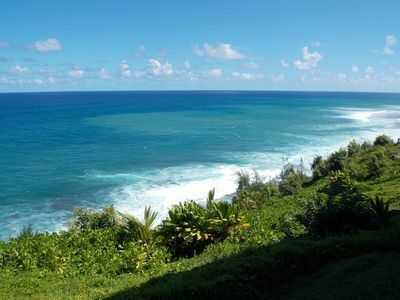 This charming town is home to the popular Hanalei Bay, which includes the Pine Trees surf area at Waioli Beach Park. 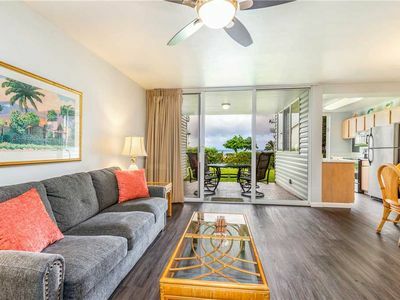 Pali Ke Kua #103: A/C Condo with Bali Hai Sunset Views! Beautiful 6 bedroom 6 bath for 12 townhome! 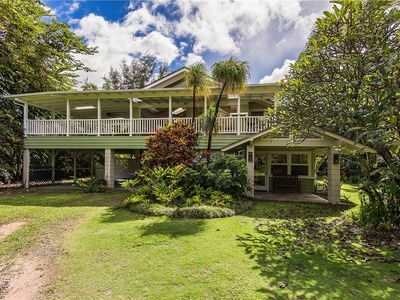 Oceanfront, Remodeled, Pali Ke Kua 245 with Awesome, Expansive Ocean Views! 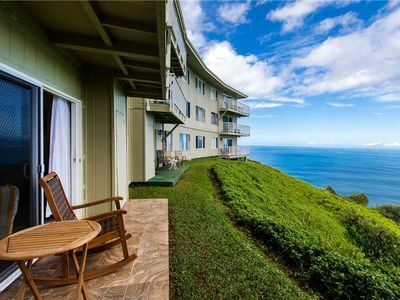 Ocean Views with Pool and Hot Tub, Koi Ponds and More! 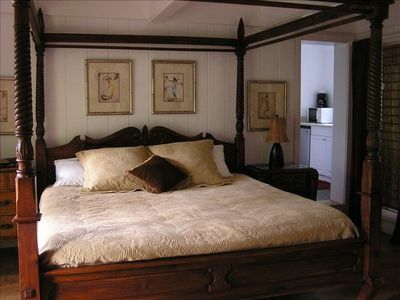 Wyndham Bali Hai Villas Resort ~ 2B/2B ~ 10 Minutes from Hanalei Bay! 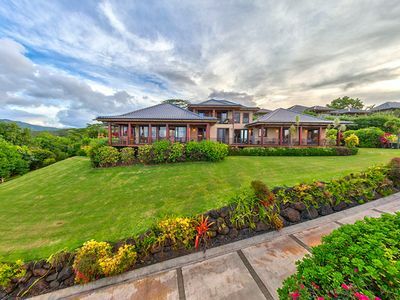 Beautiful 4 br for 8 oceanfront villa w/ breathtaking ocean views!